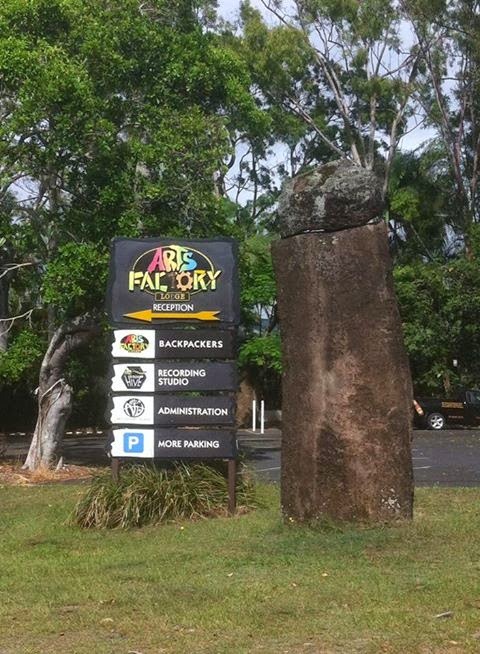 Deeply sad to leave Byron Bay, we packed up our van and checked out of the Arts Factory. We were advised by a guy on the desk to drive to Nimbin, claimed to be Australia's Amsterdam, via Minyon Falls. DON'T DO IT!! We set off, aimlessly driving as roads were closed and it was miles and miles away. Determined to get there still, myself and Hannah managed to navigate our way there (we didnt buy a satnav as there was no real need - more on this at a later date). We ended up practically off-roading the campervan (naughty us!) 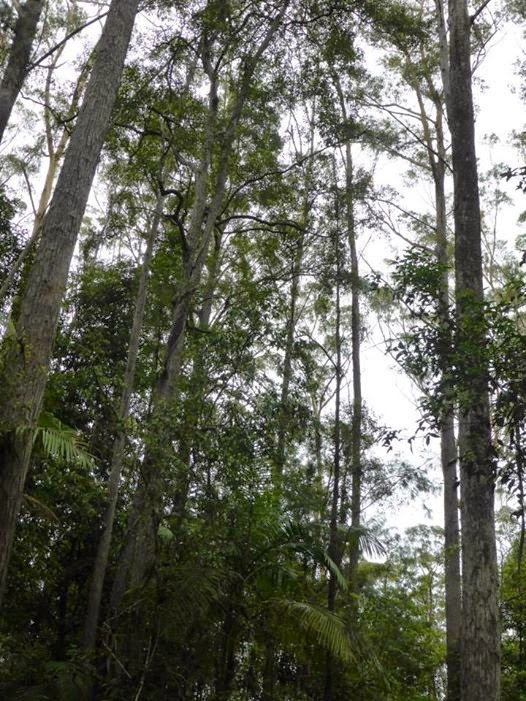 up into the rainforest. It was a bit scary, we weren't really sure where we were going and we couldnt really turn back in the end. We arrived, in the middle of the rainforest, to Minyon Falls...except there were no 'falls' just dried up rocks where the probably used to be a waterfall. Nice one Arts Factory Guy - 1/2 tank of fuel used, two hours of our time and disappointment at the end. We finally made it back to safe road when the petrol light came on...BRILLIANT. Now, my Parents have laughed at me since I was little but I have an irrational fear of the petrol light coming on. Always have done and this worry hasnt left me in nearly 23 years. We were in the middle of nowhere, ages away from the next town...with no fuel. We somehow made it to the tiny village of Dunnan to the smallest little shed hosting the only unleaded petrol pump for hours - thank god for Dunnan! We filled up and set off for Nimbin. 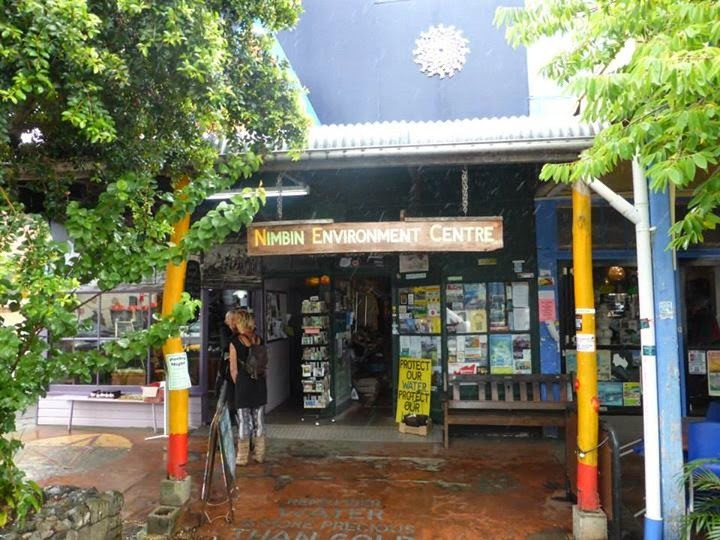 We had been told great things about Nimbin so were keen to see what all the fuss was about. 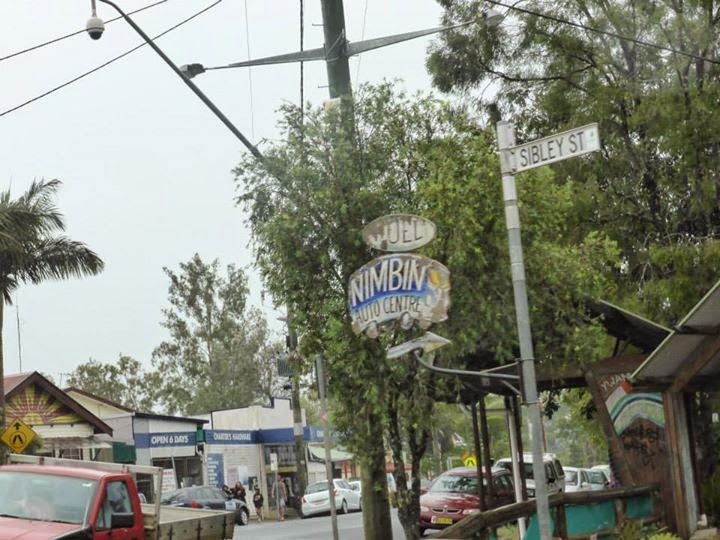 Unfortunately for us, we had been cursed with bad weather, so we arrived in Nimbin to a constant downpour for hours. 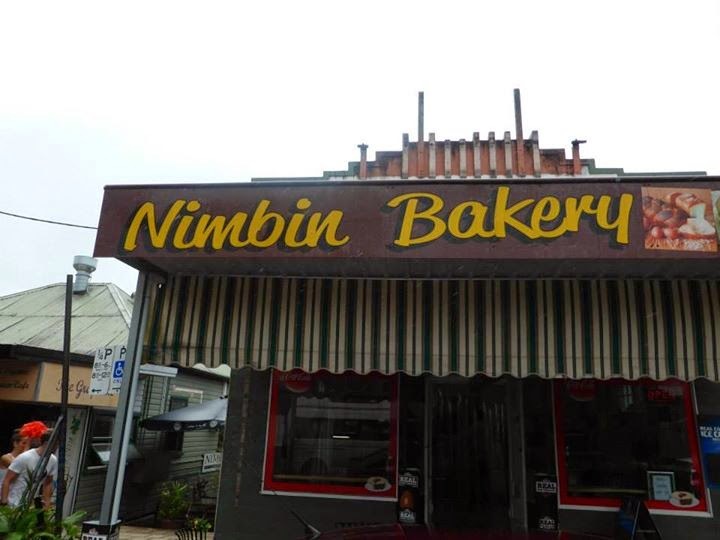 Nimbin is NOT like Amsterdam. It is home to a lot of creepy, weird people. Every other person is obviously selling marajuana, VERY illegal in Australia but the people of Nimbin somehow get away with offering it to every person that passes them, with their police station smack bang in the middle of the town. The atmosphere isnt relaxed like Amsterdam, you feel like you are on tender hooks the whole time you are there. These creepy people dont look just high, they look like the kind of people you would see in an episode of Breaking Bad begging Jesse and his pals for another hit of 'the good stuff'. I'm not a prude and I am definitely not naive, but the vibe of Nimbin was not a pleasant one; give me Amsterdam any day! My boyfriend assures me that the history of the place is very interesting etc. but the people just creeped me out a tad! 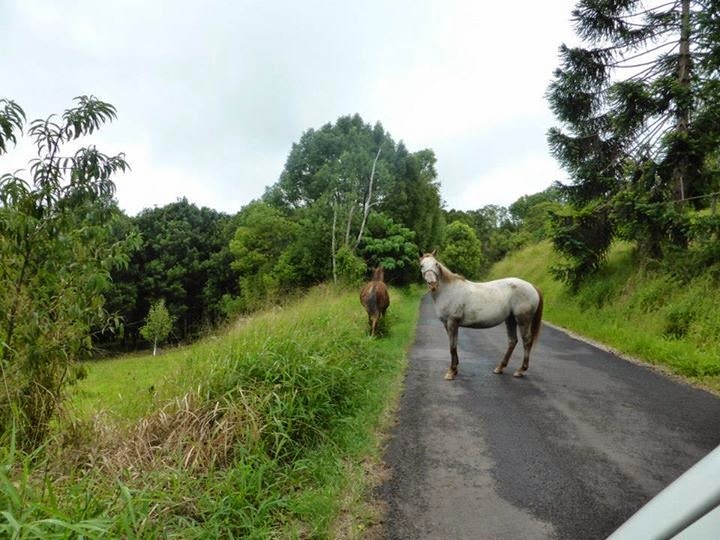 From Nimbin we were headed for Surfers Paradise and I could not wait to get out of that place! The bad weather was set in for the day and it meant a rather scary drive through the hills, filled with heavy rain, thick fog and steep drops. I did, however, drive us over the NSW/QLD border, which was weirdly exciting. I still cant believe some days that I live in this country now, even if only temporary.